For almost three decades, Sandwich Business Attorney Jim Dillon, of the Law Office of James P. Dillion, Jr. has provided expert legal counsel in the areas of Business Law and Will and Estate Planning. Legal services involve business formations such as Limited Liability Company (LLC), Corporate entities (i.e. S-corp, INC.) contracts and agreements, business purchases and sales among many other business-related legal needs. Trusts and Estates include wills/living wills, trusts, health care proxies, durable powers of attorney (POA) and medicaid trusts. 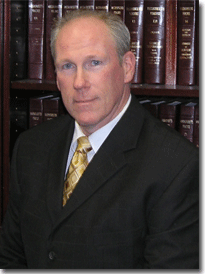 As a criminal defense attorney, James Dillon is well-known for crimes involving assault, battery and theft. Attorney Dillon is also extremely experienced with incidents involving driving or operating under the influence (DUI/OUI) whether its alcohol, marijuana or other drugs. With an office located in the center of Sandwich, MA on Cape Cod, he serves clients from Boston to all towns in southeastern, Massachusetts including Plymouth, Bristol and Barnstable counties. A free initial consultation is the best reason to call the Law Office of James P. Dillion, Jr. for questions and concerns. Calling sooner than later will positively impact your legal situation.